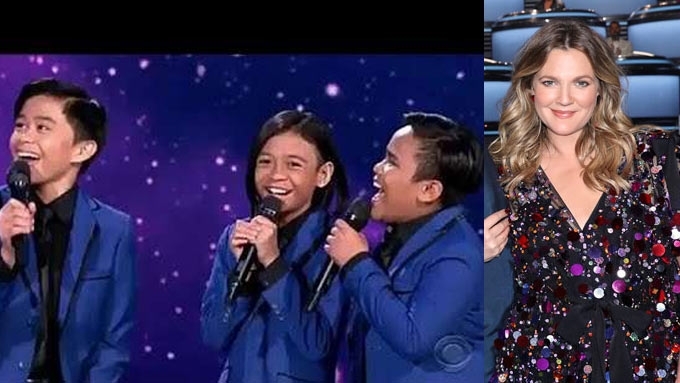 Drew Barrymore (right) praised the TNT Boys for their powerful performance on The World's Best. A judge who worked as Beyonce's choreographer said about the Pinoy singers: "I actually wouldn't be surprised if [Beyonce] called you up after this..."
The TNT Boys once again brought pride to the Philippines when they earned a near-perfect score in the U.S. show The World's Best. The trio, composed of Francis Concepcion, Mackie Empuerto, and Kiefer Sanchez, were praised by the judges for their powerful rendition of Beyonce's "Listen." The group was tagged as the "vocal dynamo trio" in the pilot episode that aired right after the Super Bowl on February 3, 2019 (U.S. time). American judges Drew Barrymore, RuPaul, and Faith Hill gave the Pinoy singers an average score of 49. Drew admitted, "I have a soft spot for kids. I was a kid performer and I have kids now. This is a whole other thing. The judges comprising the Wall of the World gave them a standing ovation before it was revealed that they gave a total score of 99. Dennis Jauch, a judge from Germany, actually worked with Beyonce in the past as her choreographer. He said, "I actually wouldn't be surprised if she called you up after this and be like, 'Join me in the next tour.'" 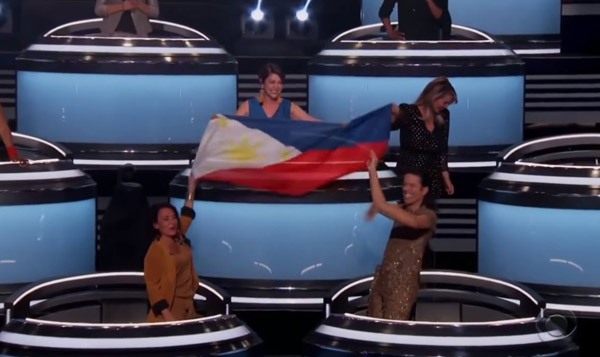 Pops Fernandez, the sole Pinoy judge on The World's Best, even unfurled a Philippine flag to show her support for her kababayans. The TNT Boys will now move on to the next round of the competition.